Her name was Mitsouko. It means "mystery", a mystery of tenderness and softness. She is this enigmatic, disarming and determined woman who accepts her destiny with the courage of the greatest heroines in literature. A masterpiece of balance, this mysterious perfume is made of spices and wood with subtly fruity accents. Little by little, Mitsouko evokes the assertive scent of underbrush. Created especially for Guerlain loyalists, this modern sculpture doubles as a refillable spray case that reveals a glimpse of your perfume's mystery and recalls the fine engraving of precious jewelry. Fruity chypre Mysterious, Balanced, Velvety. A masterpiece of balance and originality, Mitsouko marries a fruity note of peach with jasmine flowers and May rose. The mysterious dry-down of the fragrance blends spicy notes with those of underbrush and vetiver. Perfumer's Secret Eau de Parfum is more concentrated than Eau de Toilette, and leaves an exceptional fragrance trail that underscores the presence of the woman who wears it. It is used in the same manner as the Eau de Toilette. 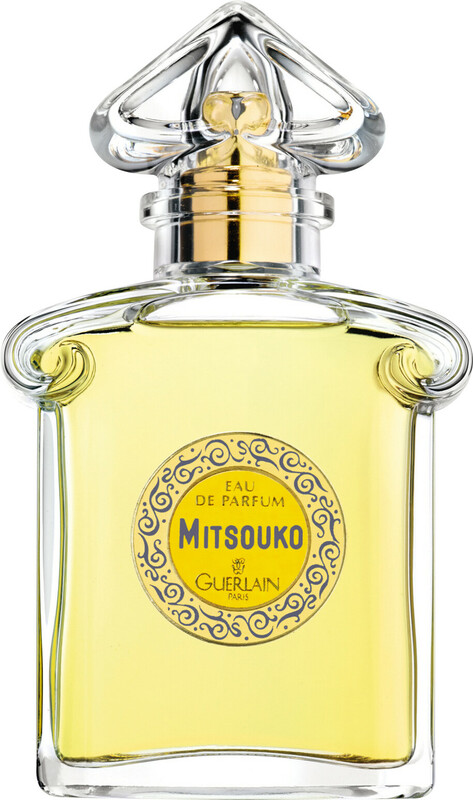 GUERLAIN Mitsouko Eau de Parfum Spray 75ml is rated 4.6 out of 5 by 9. Rated 5 out of 5 by Lasara from A classic and classy - Mitsuiko Guerlain Not bought this perfume for a while but it is so so nice and people always comment on how lovely it smells and how unusual it is, just like most Guerlain perfumes, it just smells amazing! Rated 4 out of 5 by Lena from Good Guerlain had some greats perfumes but has ruined them, Mitsouko still holds a little bit but not what it was! I would recommend only if on discount also I hope they don't change its bottle to bee bottle like they did with most perfumes! Rated 5 out of 5 by Hillibee from Glad to have discovered! Of course a classic but one that still has relevance - it's wonderfully crafted & multi faceted. It shifts on every turn yet remains captivating. Very special. Rated 5 out of 5 by Freya from Exquisite perfume Never having smelled this perfume before and not able to find it in store locally, I took the advice of a previous reviewer and tried the body lotion first, as it was not so expensive. I was hooked from the moment I put it on and had to have the perfume as well. Luca Turin in Perfumes the A to Z Guide describes it as the fragrance he would take to Mars with him and I concur with that completely. Delivery and packaging with samples was quick and efficient. It is now my joint favourite with Clinique Aromatic and has long staying fragrance. Many compliments on it.